Hugh Michael Jackman (born 12 October 1968) is an Australian actor and producer who is involved in film, musical theatre, and television. Jackman has won international recognition for his roles in major films, notably as action/superhero, period and romance characters. He is known for his role as Wolverine in the X-Men series, as well as for his leads in Kate & Leopold, Van Helsing, The Prestige, and Australia. Jackman is a singer, dancer, and actor in stage musicals, and won a Tony Award for his role in The Boy from Oz. In November 2008, Open Salon named Jackman one of the sexiest men alive. 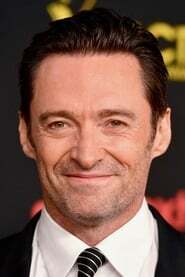 Later that same month, People magazine named Jackman "Sexiest Man Alive.” A three-time host of the Tony Awards, winning an Emmy Award for one of these appearances, Jackman also hosted the 81st Academy Awards on 22 February 2009. Description above from the Wikipedia article Hugh Jackman , licensed under CC-BY-SA, full list of contributors on Wikipedia. as "Logan / Wolverine (archive footage)"
as "Logan Howlett / Wolverine / X-24"
as "Logan / Wolverine (uncredited)"
as "Davis (segment "The Catch")"
as "E. Aster Bunnymund (voice)"
as "Logan / Wolverine / Weapon X"
as "Gabriel Van Helsing (voice)"